It’s a traditional party on the New Year’s Eve with wining and dining as well as live entertainment by the Polonusy band from Portland. Ticket price includes a traditional Polish dinner, champagne, hats etc. Radio Wisla in Seattle invites to its special Christmas broadcast on the Christmas Eve, repeated on the Christmas Day. The special is 1 hour long and filled with the beautiful Polish carols. It also has an introduction in English for the benefit of the local Polish-American audience. Please tune up to AM 1590 to listen and sing along! The special is also available over the internet at the Radio Wisla website. Polish Home Fundraising Committee invites everybody interested in the PH expansion project to its monthly meeting at the Polish Home. The fundraiser stands at over $250,000 in pledges. The project is in the review & consultation phase before commissioning the final construction plans. All interested in the details of the project as well as volunteers are welcome! Where: at the Polish Home, just drop by; refreshments provided! This is a Mikolajki party organized by the Society for Polish Culture. Traditional program includes sharing of Christmas wafers, Santa Claus’s visit with presents, singing of Polish carols and taking pictures with Santa Claus. Tomas Venclova, the great Lithuanian poet, translator, essayist and former dissident, is a professor at the Dept. of Slavic Languages and Literatures at Yale Univ. 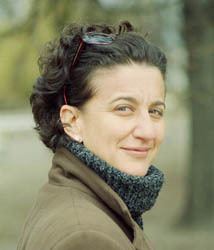 Prof. Venclova also teaches at the Polish Studies at Yale and extensively publishes on Polish topics. He shared with Czeslaw Milosz respect for multicultural heritage of Vilnius and Lithuania and together they were building bridges between Polish and Lithuanian cultures and nations. His poetry reading and lecture will include poems from Winter Dialogue, 1997. More: Venclova www.efn.org/~valdas/tvenclova.html, additional info about lecture, (206) 543 4852. The Political Economics of Eastern Europe Speaker series has no less than three speakers this time, two of them focusing on Poland. Dr. Jan Monkiewicz is a professor at the Warsaw School of Economics and the Chairman of the Insurance and Pension Fund Supervisory Commission, a government agency, in Poland. Dr. Leon Podkaminer is a staff economist at the Vienna Institute of International Economy in Austria. 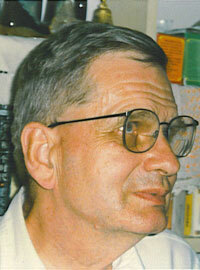 Dr. Kazimierz Poznanski is a professor at the Jackson School of International Studies, UW. CBS miniseries about the Polish Pope, directed by John K. Harrison, features Jon Voight playing the pontiff and Cary Elwes as a young Karol Wojtyla. 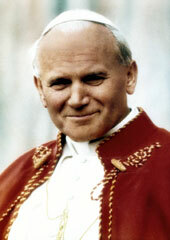 The first part covers the life of Karol Wojtyla in Poland, the second his life as the Pope. Movie was shot in Poland and in Vatican, where the filmmakers enjoyed unprecedented access. Jon Voight who won an Oscar for his Vietnam vet role in Coming Home (1979) has been praised for his depiction of Pope’s warmth and charisma. Where: at the CBS channel, part 1 on Dec 4 at 9 pm, part 2 on Dec 7 at 8 pm. The Nativity play, Christ the Savior Is Born, is the main attraction of the St. Nicolas party for children that follows building on the Polish traditions of St. Nicolas’s Day (Dec. 6). The play has been prepared by the Polish Home children theater group, Mlodzi Polanie, under the direction of Barbara Strutynski. As every year, after the play the kids will be visited by Santa Claus for an early start of the season celebrations! The restaurant will be from 1 pm as is usual on Sundays. Shana Penn is a Visiting Scholar at Mills College in Oakland, CA. Her book, Solidarity’s Secret: The Women Who Defeated Communism in Poland, brings to the American audience the fact known so well to every Pole – namely, that patriotic Polish women were behind all of the independent movements in Poland, Solidarity being no exception. The lecture continues the Polish Studies Distinguished Speaker Series sponsored by the UW Polish Studies Endowment Committee.